Featured in our September/ October Issue of Compete Magazine! Guest writer Matt Swenson is editorial director for Connect Meetings. He shared with Compete Magazine this recent interview he did with sports legend Deion Sanders, done in preparation for a faith-based Connect event Sanders will address this fall. 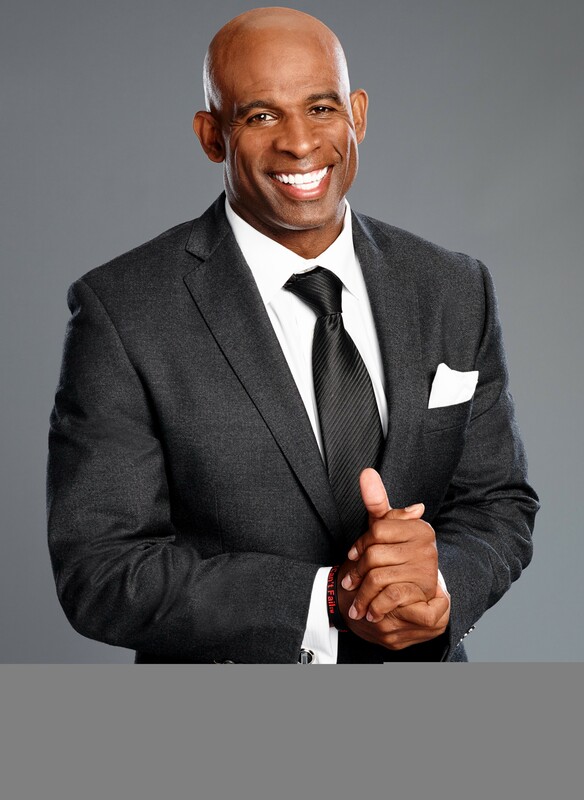 Deion Sanders, the Hall of Fame football player and current NFL Network analyst, hit proverbial rock bottom 20 years ago. With his marriage crumbing and other challenges getting the better of the former two-sport superstar (he played pro baseball for the Atlanta Braves, among other teams), Sanders drove over a cliff in 1998 with the intention of dying. As Sanders hoped would happen, he met his Maker – just not in the expected manner. Both he and the car were undamaged. Sanders doesn’t believe it was an accident that he has gone on to live happily ever after. God was with him on that journey, Sanders says, and He has never left the star’s side. Whether you are a believer or not, Sanders’ story is remarkable. Outwardly, Sanders was – and remains – one of the most self-confident public figures you’ll ever see. But as high as his highs have been, his lows have been equally steep. As he steps on stage as a keynote speaker at Connect Faith, Sanders is a person who has been restored. Never one to err on the side of subtlety, Sanders is taking a literal approach to his rebirth. He is the public face of Restore, a hair regeneration company whose product has brought back some of the star’s former locks. Connect spent some hair-raising moments with Sanders about faith, football and standing up for what you believe in. Matt Swenson: What are you going to tell our Connect Faith audience? Deion Sanders: I don’t know what I am going to say until I touch the microphone. That’s the way God works with me. There’s nothing preconceived or written out. The thing I want people to know is that if it wasn’t for the Lord, I’d be six feet under right now. He saved me. I’m thankful; I’m appreciative. I try to maximize every moment that I have. MS: How were you saved? DS: There was a time in my life that I didn’t want to be part of this world. I wanted to take my own life. Slowly but surely, I have been restored … replenished, rejuvenated and revitalized. I am so thankful that now that I understand that even at my lowest points, there was a place God was trying to take me. MS: You seem so confident on and off the field. How did you reach such a low point? DS: The thing you need to understand is when you have public success, there are going to be private struggles. People tend to think money is the solution to all problems. Money is a material thing; everyone has trials and tribulations. What separates us is how we handle it. MS: Have you always been someone of faith? DS: My moniker since high school has been “I believe.” I truly believe. Not only do I believe in our Lord but I believe in the gifts He bestowed upon me, especially when we live in a day and time with so many people who are playing make-believe. MS: How would you describe the role of your faith in your life? DS: My faith was like my navigation system. I was able to have my path directed to a certain place – that place was Jesus. That’s allowed me to know when to say “when,” when to stop, and when to go. Having that navigational system is everything. MS: You are someone who’s been very vocal about your faith. Were you concerned that would hurt your career or business opportunities? MS: The NFL continues to face controversy about players expressing their beliefs. What are your thoughts about players kneeling during the national anthem? DS: I can see both sides. I applaud all gentlemen in the NFL for taking a stand for what they truly believe. I could never say anything negative about those gentlemen whatsoever. I understand that aspect. I don’t think the NFL is saying we’re not going to allow you to do what you do. I think the NFL is saying that it wants you to be unified. Whatever you do, be unified in it. Everything has a place. I didn’t turn my TV on to watch to see if you are going to stand or kneel for the national anthem. I turned my TV on to watch a good old-fashioned football game, and I pray we get back to good old-fashioned football games, not the other nonsense that’s materialized by politics. MS: You started Prime 5 to help impoverished families in the Dallas area. What does our society not understand about poverty? DS: Poverty is something we tend to overlook, especially if you don’t live in those types of neighborhoods. Poverty is real. It doesn’t mean someone is lazy – they can be working their butts off. MS: How do you choose which companies to partner with? DS: I only partner with people I believe in and products I truly utilize. We look for relationships, not partnerships. Relationships transcend generations. That’s what we are looking for. MS: Tell us about Restore to regrow your hair. DS: Restore is a wonderful company. They do a phenomenal job and I am very ecstatic about the procedure. Thousands of African American men have chosen to do such a thing because of how vocal I was about the process. I’m happy. Man, it adds youth to me and makes me feel better about me. I want to look like my sons – all three of them. It is working out. MS: Do you want your kids playing football? DS: All my kids play. Football is the reason they are sleeping in the beds they are sleeping in; football is the reason they are in the car they drive. Football is the reason I spend the time with them I do and raise them properly. That’s what football has done. I can’t turn my back on the gift the game has presented to me. It’s truly a gift. MS: What about football translates to ordinary life? DS: My greatest accomplishments have nothing to do with me alone. It has always been as part of a team. I exude those daily. I articulate that daily with the kids I coach and with my own kids. To really provoke change, it is going to take a team—not just you. MS: Looking back at your life, is there anything you can’t believe you’ve accomplished? DS: I’m never going to say, “I can’t believe I did this.” But I am most proud of being the father I am. I really am. MS: What has fatherhood meant to you? DS: Fatherhood provokes more responsibility. It makes you look at life totally differently. You are not just living for you. Once upon a time when you have no children, you tend to be selfish and look out for one’s self. Fatherhood changes that whole dynamic. Now you are looking out for the child first and for their future, health, welfare, stability. Fatherhood has that capacity to change a multitude of things instantly.